Cryptocurrencies found itself the most compelling use over the last year in trouble-laden Venezuela. As hyperinflation and the struggling Bolivar left its population starving, Venezuelans saw cryptocurrencies as a gleaming opportunity to bypass the heavy economic censorship faced. Restricted from sending or receiving money overseas, the onslaught of bitcoin and other cryptocurrencies made it possible for Venezuelans to communicate and transact outside its borders with greater ease. With an exploding increase in peer-to-peer crypto trades, Venezuela even saw the arrival of its first cryptocurrencies and blockchain ATM to facilitate transfers for Venezuelans in and out of the country, amidst other promising signs that could lead the mired nation a step closer to achieving economic freedom. 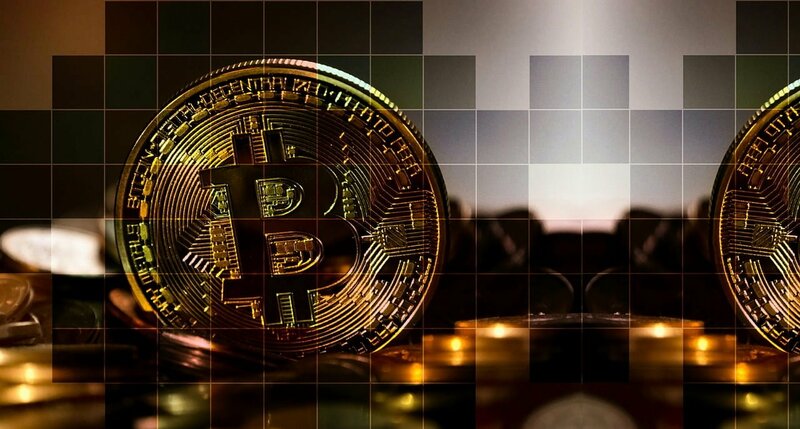 While cryptocurrencies proved to be a viable alternative to fiat as the troubles raged on, the road to widespread adoption is not without challenges. The recent blackout in March alone caused a drop in the total volume of bitcoin transactions, which caused naysayers to doubt the feasibility of cryptocurrency being traded without access to electricity. With most of the content and resources on blockchain technology and cryptocurrency available in English language, the predominantly Spanish-speaking Venezuelan community also have to overcome language barriers, until such a time that resources are available in Spanish, to make widespread adoption possible. In spite of these challenges, can crypto still hold its promise of empowering everyday Venezuelans to be a part of the global economy? The realities for cryptocurrency use in Venezuela were vastly different compared to the rest of the world, where cryptocurrencies are mainly a speculative investment tool. Amidst hyperinflation, its flailing fiat currency left its starving population seeking alternatives. As remittance payments from loved ones overseas also became worthless, Venezuelans needed a new way to store and transfer value. Given its decentralized and peer-to-peer nature, cryptocurrency transactions in public networks were outside the control of any party. As the world often balked at cryptocurrencies’ volatility, Venezuelans who saw the Bolivar weakened were not swayed by price shifts, but instead saw it as a viable alternative to make everyday transactions. For a country that faces censorship and tight control over the economy, the use of cryptocurrencies in Venezuela presents itself as not just a financial vehicle but as a potential tool around many of its challenges. As international trade is limited in Venezuela, cryptocurrencies and blockchain technology allow its citizens to interact freely with the outside world. By removing the borders that hindered the country from contributing to a stable world, cryptocurrencies are a way to build business and commercial relations from the bottom-up. While there have been encouraging signs, the work is far from done. Crypto adoption in Venezuela starts with education, and making resources available to Venezuelans in their native language of Spanish is crucial to make the concept of cryptocurrencies and blockchain familiar to the masses. Along with an educational push, both international and local advocates should explore the untapped potential of these use cases in earnest. With more blockchain and cryptocurrency projects flowing into Venezuela to allow direct financial aid to Venezuelans from abroad, and even the surge in sales of DASH-ready smartphones that allowed users to send and receive DASH through SMS, the industry could find more ways to close the gap from a largely unbanked population to sovereign citizens that can possess greater control over their finances. The presence of strong communities in Venezuela such as block producers and nodes like the Venezuela Block Producers, a block producer across several blockchains including IOST, EOS, Telos, and Steem, prove the mettle and ability of the Venezuelan community in its bid for greater economic freedom. In a short amount of time, Venezuela has seen cryptocurrency and blockchain adoption increase by leaps and bounds. As the decentralized nature of cryptocurrencies and blockchain broke down previous barriers and limitations, giving its citizens access to the rest of the world, the case for crypto presented itself as more than a tool of survival but also as a means for empowering its citizens financially. With encouraging signs of support from both within and outside of Venezuela, the road is paved for cryptocurrencies to create an open economy that its citizens can finally actively participate in. Article By Jimmy Zhong, CEO of IOST, the application-friendly, next generation public blockchain infrastructure, helping decentralized app developers overcome some of the most challenging problems with mass adoption. IOST is an application-friendly, next generation public blockchain infrastructure, helping decentralized app developers overcome some of the most challenging problems with mass adoption. First and foremost, IOST solves the scalability trilemma, or having to select between levels of security, scalability, and decentralization. Through a “Proof-of-Believability” consensus mechanism, IOST enables DApps to build and deploy more meaningful services on its platform, helping more everyday users experience the mass benefits of blockchain services. IOST has a global presence, with offices in Beijing, Tokyo, Seoul, Berlin, San Francisco, New York and Singapore. Author: Jimmy ZhongJimmy is the Co-founder and Chief Executive Officer of IOST, a blockchain network powering the next generation of Internet services. An entrepreneur at heart, Jimmy started his first business while still at high school in Beijing. Moving to the United States shortly after, he co-founded several technology startups while at university, including Studypool, a 500 Startups backed-online platform connecting students to tutors. Looking to drive the next wave of internet services, Jimmy believes in the promise that a more scalable blockchain infrastructure will bring in helping developers accelerate the adoption of decentralized applications. He holds a Bachelors of Science in Mathematics and Computer Science from Emory University, Atlanta.